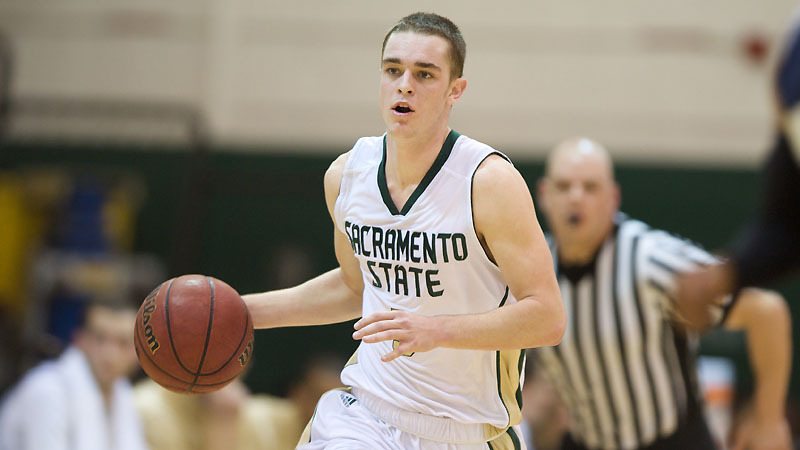 In the most exciting Big Sky game of the night, Sacramento State lost a close game to Southeast Missouri State, 77-76. Lucas Nutt made the first of two free throw attempts with 3.3 seconds left to give the Redhawks (5-7) the lead. When he missed the second one, John Dickson attempted a buzzer-beater from behind half court that was well short. The Hornets were down by 10 with 4:39 to play, including tying the game with 38 seconds left, but it was not enough to pull out the victory. The loss snaps a two games winning streak for Sac State, and drops them to 5-6. Freshman PG Dylan Garrity has struggled of late, but he was excellent in this game, posting his first career double-double. He had 11 points (he was very good at getting to the FT line), and finished with a sparkling 12:0 A:TO ratio. It is good to see him get back to the way he was playing at the beginning of the year. The Hornets got a lot of other nice contributions as well, notably from John Dickson (10/19 FG for 24 points), Joe Eberhard (15 & 8), and Josh McCarver, who had 12 points in 18 minutes. Ultimately, they just didn't get a solid performance from their defense per head coach Brian Katz. Sacramento State will open conference play with a trip to Northern Arizona on the 29th.